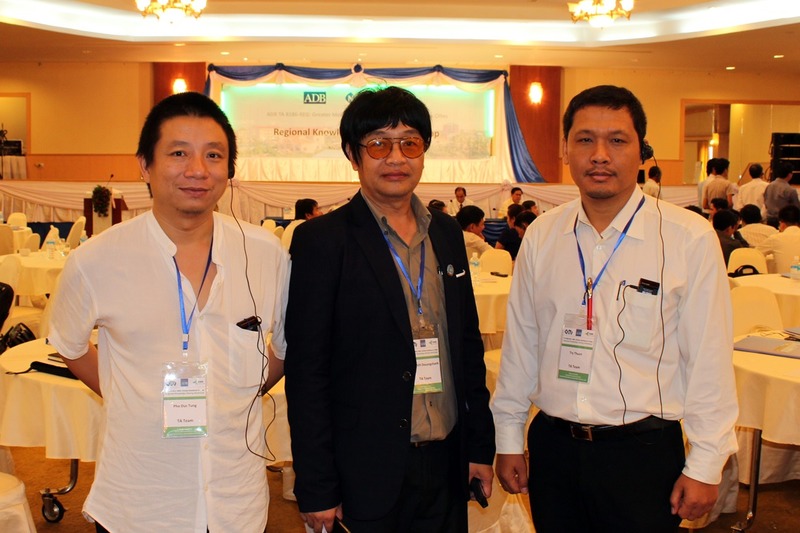 Local experts from Kaysone, Laos, Battambang, Cambodia, and Dong Ha, Vietnam came together 25 – 27 July 2014 to share results and combine their learning after conducting climate change impact and vulnerability assessments in their towns. 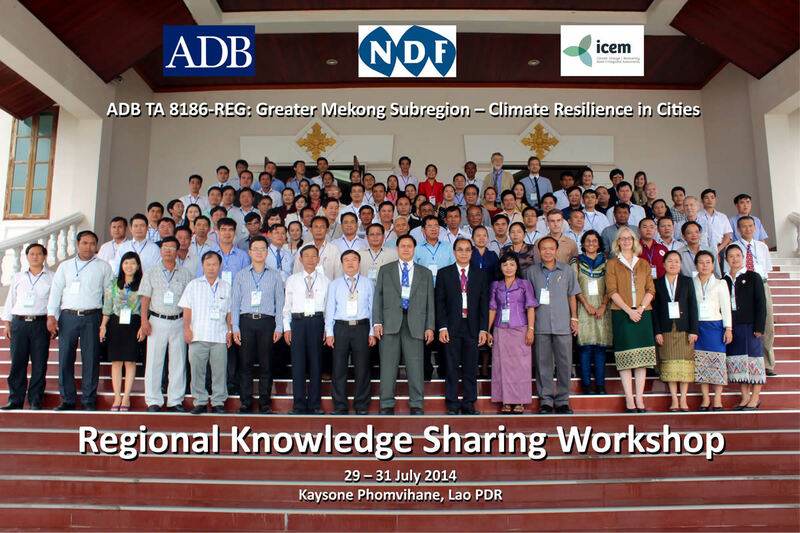 The Regional Knowledge Sharing Workshop took place as part of the Climate Resilience in Cities project, ADB TA 8186. Local experts from each town have spent the past ten months assessing the impacts of climate change on specific flood protection and drainage infrastructure. 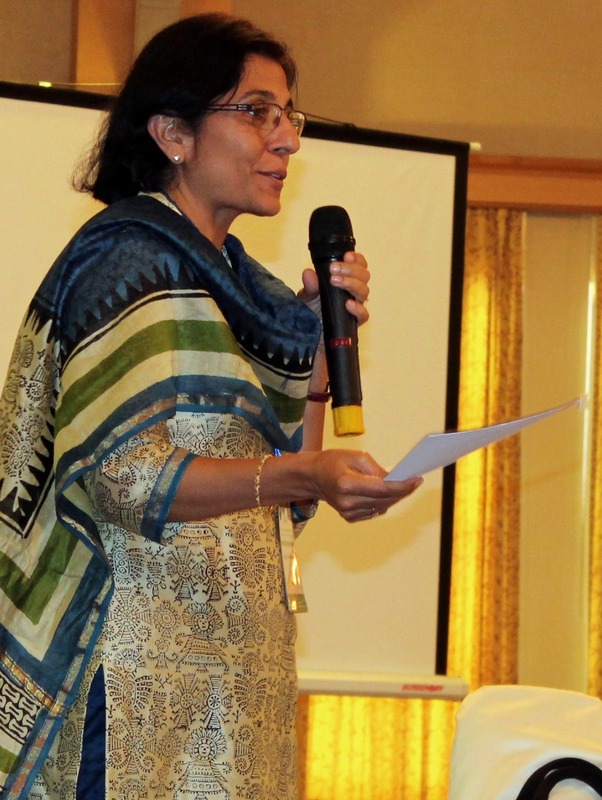 The regional workshop was their moment to shine. Each group was given the opportunity to present their town story and give an in-depth overview of their assessments and their vision for more climate-resilient alternatives to current infrastructure. When planning infrastructure for flood protection, drainage and drought management, measures that mimic and replicate natural systems were explored as a first step. Workshop participants explored replacing or supplementing hard structures with bioengineering, soft draining corridors and increased urban canopy cover in order to respond to climate change. 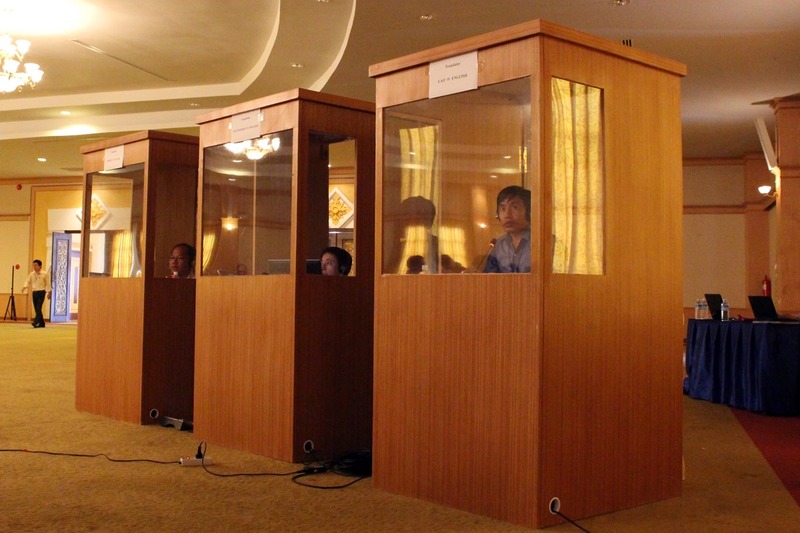 While presentations and stories can be shared in books and online, nothing can replace face-to-face interaction. Group working sessions gave participants a chance to dig into city vision planning, town-specific green infrastructure options, and how to function as a group into the future. 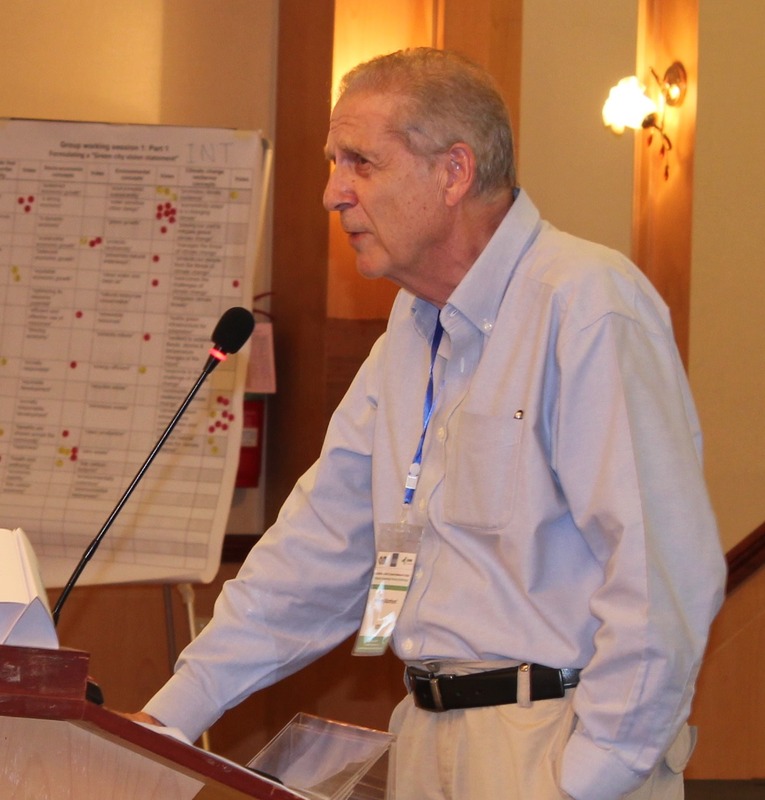 Trilingual interpretation broke down language barriers, allowing participants to ask questions of each other and offer constructive critiques. 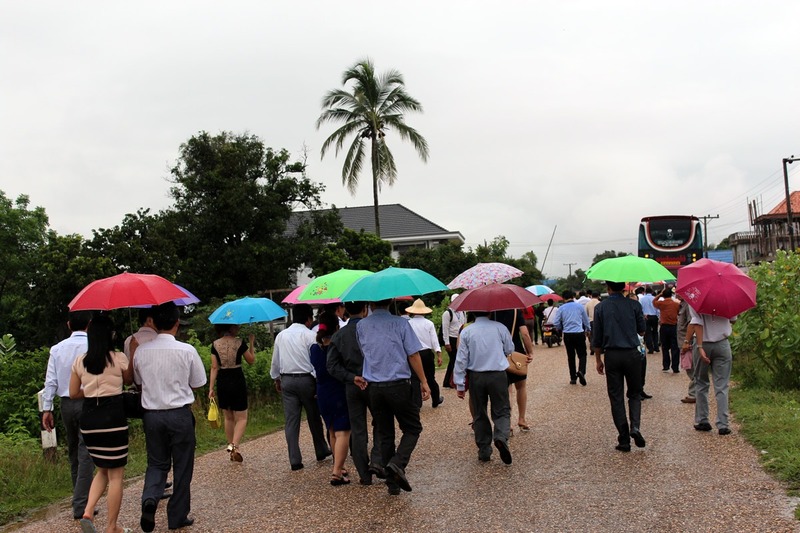 Now, bolstered by each other’s common successes and challenges, each group can return to its town with a more solid understanding of how to implement climate resilience into their city planning. 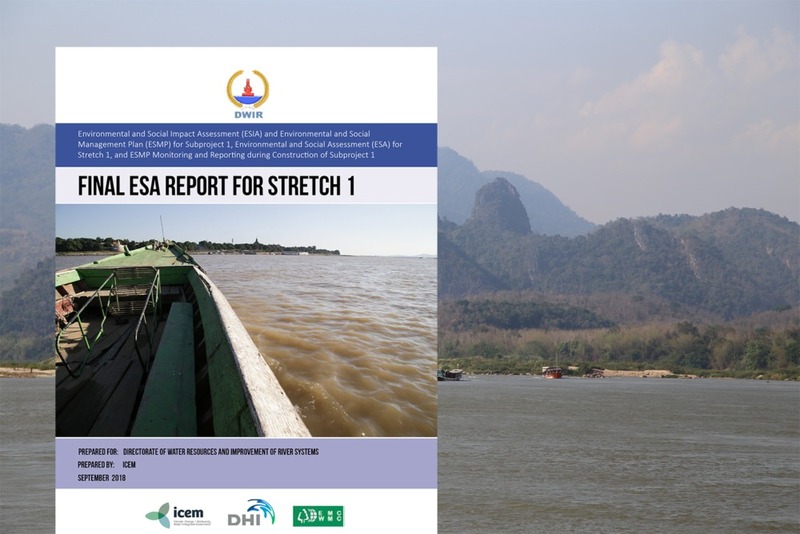 The work conducted by the Kaysone, Battambang, and Dong Ha climate change core groups will be consolidated into a resource kit to help guide other Mekong towns in building their own climate resilience. 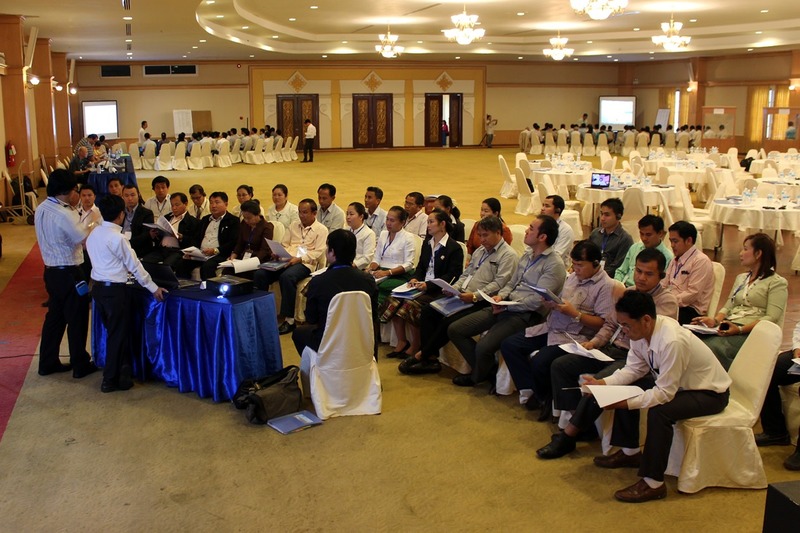 Planning is underway for future workshops and training in the use of the resource kit, as well as for implementation of the specific adaptation measures each group has recommended for its town. 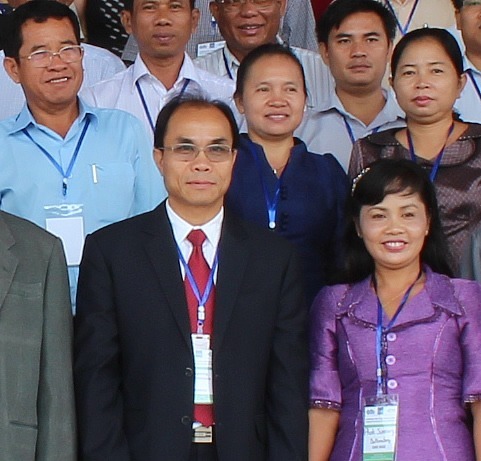 The core group from Kaysone was recently formally nominated by the Savannakhet Provincial Governor to advise and support urban planning in Kaysone with an eye toward climate resilience. It is the first formally recognized body of its kind in the region.